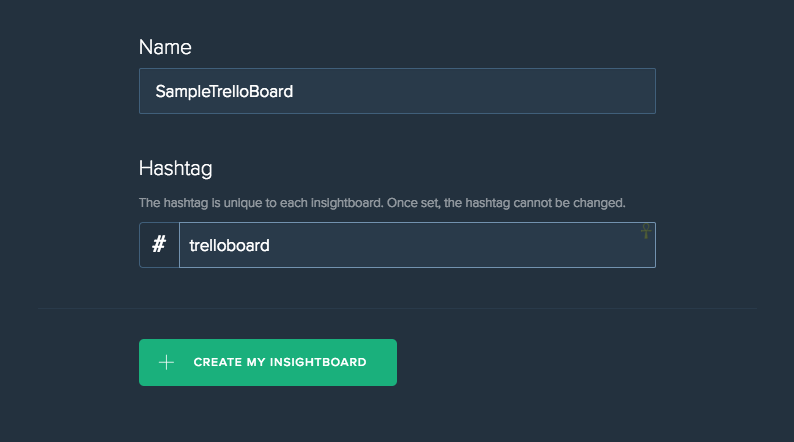 For the purpose of this example we will assume we have the following Trello board. As you can see we have a board named Backlog as well as a couple of list defined (ToDo, In Progress, Done, Deleted) with some cards in them. 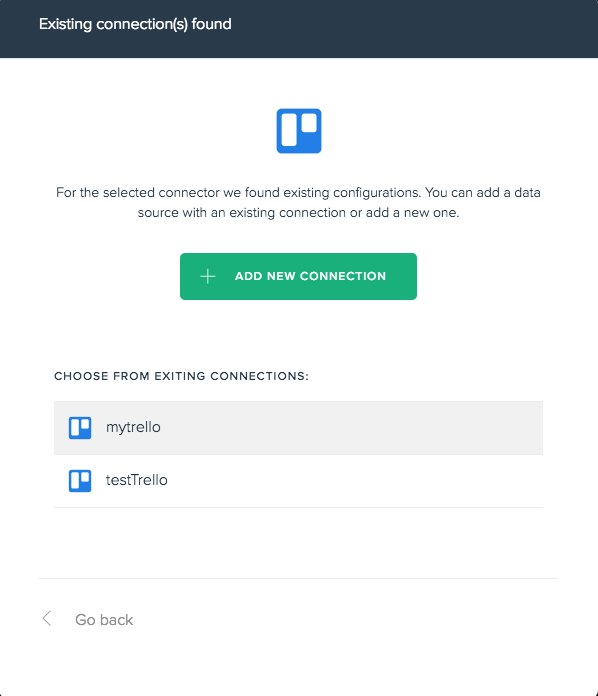 Connect to your Trello account. The initial connection can be established following the guide available here. Add the cards from the backlog board. Go to the Product tab and select Trello. As you may have noticed we also had 4 separate lists defined in the Backlog board. In order to use them we need to add them as a different data source. 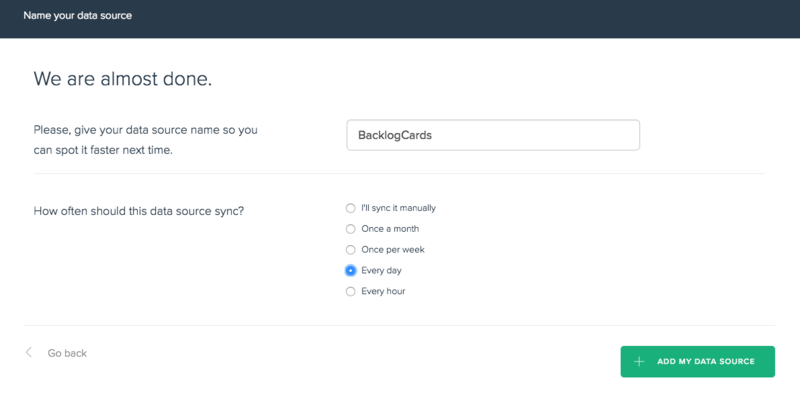 To do so follow the same procedure as with the Backlog board but instead of navigating to Cards in Board and then Backlog go to Lists in Board and then navigate to Backlog. Adding the lists as an insightboard parameter. Click on the add new parameter button. In the end your parameter should be configured like this. click on add new Insight and add your newly created insight. From now on when you open your SampleTrelloBoard you will see the item count that matches the BacklogList you have selected. In our sample the possible values for the filters will be ToDo, In Progress, Done and Deleted.